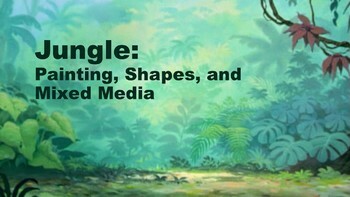 Jungle: Shapes, Painting, and Multi Media art. 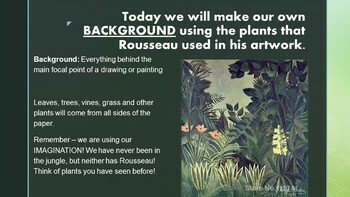 This lesson guides students through making a mixed media jungle. They begin by learning how to paint leaves and vines in a background, then how to make animals out of shapes, and finally they add finishing touches with other materials. 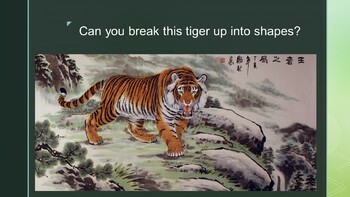 Edit the presentation to meet the needs of your own students!